This month is special as I propose you for the first time a video game. Bioshock belongs to the First Person Shooter genre and the press is unanimous when saying it is the Game of the Year. As I finished it recently I would like to talk to you about it as I really enjoyed playing it. Bioshock has serious assets and among them are its fantastic scenario, its excellent character design as well as its great soundtrack and universe. 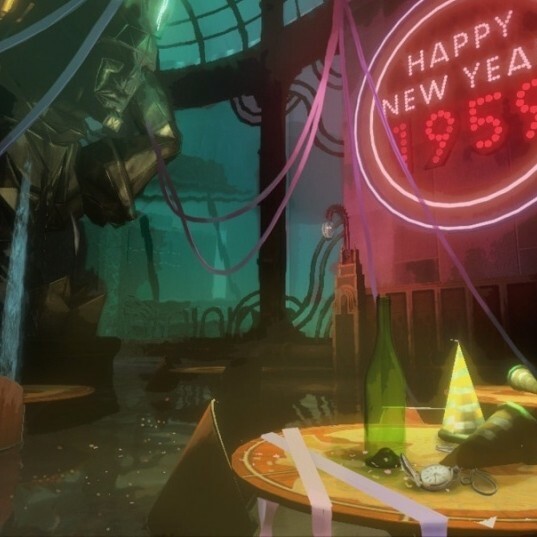 The story plunges you in Rapture, an underwater city that was originally built for scientists and artists of genius. But at some point the inhabitants became violent and the situation degenerated totally. What was once a fine place with Art Deco architecture is now a nightmare full of ghosts and crazy masked freaks. Bioshock is built on an extremely rich universe and discovering it and what happened to turn a city of geniuses in such a nightmare is a thrilling occupation for dark long nights. The responsible for all this mess is massive overdoses of the local drug : Adam. This new medicine enables people to use Plasmids, the local power ups that make you fitter and happier. If all these possibilities weren’t enough to hack your way through the city, you collect little by little enough weapons to build an arsenal. From the simple revolver to the rocket launcher and from the machine gun to the crossbow, you will have plenty of means to express your disappointment regarding the views of your opponents. Meanwhile, be assured they will also use the same devastating arguments on you. 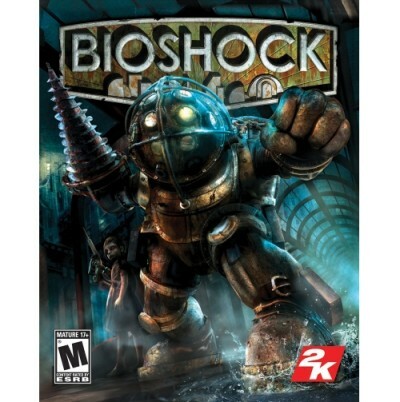 But Bioshock is not a simple First Person Shooter game, as it also has strong Role-Playing Game elements. Indeed, you have to choose your weapons improvements, collect money to buy various ammunition or plasmids and several other things that reminds us from Fallout or Morrowind. You will also have to make painful choices as to save the young Little Sisters or harvest their drugs by killing them. Bioshock is also an experience. Killing a Big Daddy (the colossal characters in the enhanced diving suits) is something that can’t be described with mere words but have to done. It took me about 20 hours to see the end of the game but everything is so well done that you don’t see the time flying. This is a game that can be replayed many times over as you will have plenty of possibilities to see the end. From playing it with stealth or all guns blazing, you will have many different gaming experiences. To conclude, If you are a video gamer of sort, buy this game. I am what can be described as a casual gamer and I had a great time playing it. 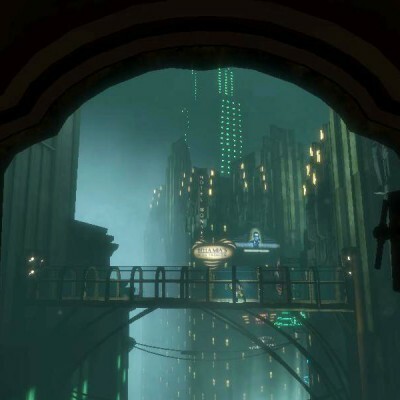 This game received great grades in France and elsewhere and all applauded its ambiance, the huge amounts of details that Rapture contains and so on and so forth. I give it a 9/10 as nothing is perfect and Bioshock is no revolution but takes all the good elements of games we liked and puts them together. Best of it, it was absolutely magnificent on my now modest computer hardware.